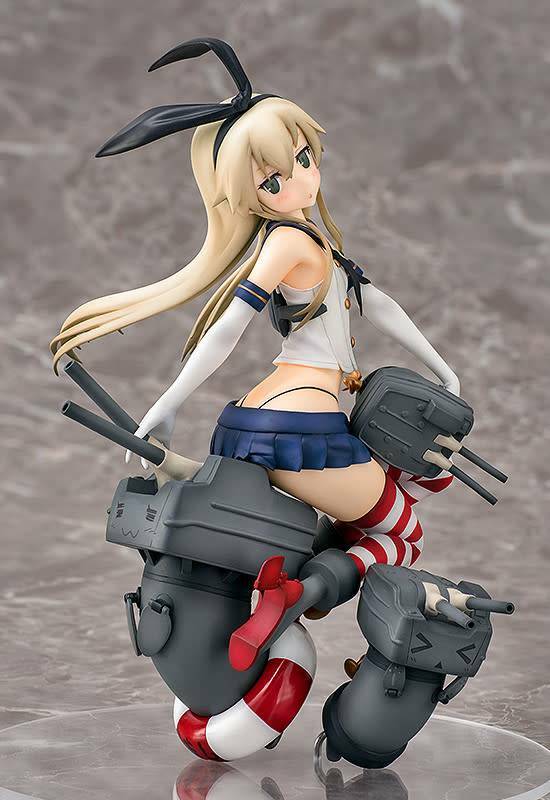 From the popular browser game 'Kantai Collection -KanColle-' comes a 1/7th scale figure of the first Shimakaze-class ship, Shimakaze! She has been posed taking a little breather while sitting on top of a large Rensouhou-chan together with two more Rensouhou-chans around her creating a complete scene for fans to enjoy in their collection! Each of the Rensouhou-chan figures have been sculpted with unique poses and expressions to really bring the figure to life. Shimakaze herself is in a rather relaxed pose as she sits upon Rensouhou-chan with a cute look on her face! Be sure to add her in your collection!